On the continent, the development of Medieval literature–stemming from the preservation of culture and heroic adventures within epic poems–is a direct result of Charlemagne’s desire to educate his people in 800, which was only made possible through an emphasis on the teachings of the Catholic Church. The Catholic Church created schools with an intensive curriculum founded upon the education of grammar, rhetoric, Latin, astronomy, philosophy and math. Christianity was legalized by the Roman Empire during the Fourth Century, and as a result, education as well as laws were overseen by the Church. The Church often wielded more power than the often-weak feudal monarchies that characterized medieval society. In the Twelfth Century, there arose a strong presence of chivalry in Medieval society which quickly inhabited the literature of the time; the chivalric code was a moral code, or rather, a code of conduct bound to duty, honor, and justice. Reflected within the texts of the time–the ways in which characters are affected by loyalty, duty, and honor–the chivalric code was both a necessary platform for knighthood and good moral standing. The presence of chivalry in Medieval Culture is exemplified in the representation of a just and moral knight facing temptation and conflict in Sir Gawain and the Green Knight. As a result of the presence of chivalry, courtly love gave rise to an increased production and contemplation of romantic prose. While the printing press was invented in the Fifteenth Century, its impact was not fully achieved until the Renaissance. citations? The Middles Ages can be split up into three periods: the Early Middle Ages, the High Middle Ages, and the Late Middle Ages. The Early Middle Ages typically signify the begging of the Medieval Era with the fall of Rome and continue until sometime in the 11th century. Anglo-Saxon tribes invaded England around 450 and they had a vast affect on literature. The language of theseinvaders is classified as Old English and is widely represented in Anglo-Saxon poetry (UMASS). Old English poetry was passed down orally before it was written. The earliest written example is found in the writing of Bede and his poem Caedmon’s Hymn. The Anglo–Saxon’s helped further spread Christianity by adapting to it; however, Anglo-Saxon poetry contains a thematic “heroic code” which blends with and sometimes contradicts Christian ideals. The “heroic code” places value on kinship, and emphasizes duty and vengeance for one’s lord (Norton). One of the most popular Old English epic poems is Beowulf, which follows suit of its relative Germanic literature with its heroic and Christian themes. The final page in Caxton’s print of Morte Darthur. Image courtesy of The British Library. e most popular romantic figure of this time is the character of King Arthur who arose in the 13th century. The Arthurian romance contains the chivalric code, involving knights, adventure, and honor (LordsandLadies.org). Other popular romances of this time include Sir Gawain and the Green Knight, Geoffrey Chaucer’s The Canterbury Tales, and William Langland’s Piers Plowman. Tudor dynasty began. This era contained the Hundred Years War, which ended in 1453, and the Black Death, which eliminated nearly one-third of Europe’s population. In 1485, William Caxton introduced England to the art of printing books, when he published Sir Thomas Malory’s Morte D’ Arthur (Norton). A medieval church in Rome. According to the History Learning Cite, the Church was absolutely the most important part of medieval society. “The Church dominated everybody’s lives.” The only religion that existed was Christianity. All medieval people, regardless of their social rank, believed in God, Heaven, and Hell, however it was strongly believed that the only way they could get to Heaven is if the Roman Catholic Church allowed them. Similar to today, Hell was depicted as every person’s worst nightmare, and Heaven was eternal paradise. The actual structure of the Church was the center of all community activities. People would perform plays and there were always markets held outside of the Church. The Church was viewed as having the answers to everything and anything that would happen, especially when something bad happened. If there was a bad storm or an outbreak of disease, the church was supposed to know why. The language of the Church, Latin, was the only common language spoken in all of Europe. Anyone who did not know Latin would not be able to communicate. This just proves how important the Church truly was. They determined the language of an entire continent. 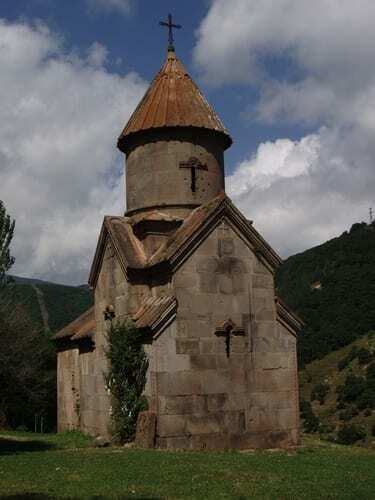 The Church held entirely all of the power in medieval times, and was very well-respected. Most scholars associate the start of the medieval period with the fall of the Roman Empire in 410AD. After the Romans withdrew, Germanic tribes invaded and spread their influence into England. Germanic Heroic Poetry: It started out being performed orally in alliterative verse but was later written down by scholars or clergymen. Oftentimes it was used to describe current events, and touched on themes, which invoke the ancient code of honor that obliges a warrior to avenge his slain lord or die beside him. They show the aristocratic heroic and kinship values of Germanic society that continued to inspire both clergy and laity. The effect of language in Germanic Heroic Poetry and Old English Poetry was to formalize and elevate speech. Romance, Courtly Romance: This was the most popular genre in the Middle English period; it had a particular story structure that depicted the integration, disintegration, and reintegration of a central hero. Usually the hero underwent a test or challenge that alienated them from society. It is outside the world of every day experience or unnatural/magical. It was the principal narrative genre for late medieval readers and centrally concerned with love but it developed ways of representing psychological interiority with great subtlety. Though they began in France, their transition into English literature came about from simplified and translated versions of the original French works. Often, Romances, whether written for aristocratic audiences or lower class audiences, had to do with a knight attempting to win the love of a woman of much higher class, by showing the depth of his character through acts of morality, nobility, and bravery. – A sub-genre of the romance was the Arthurian Legend: Stories that told about the legend of King Arthur and his Knights of the Round Table. Middle English lyrics: A type of secular poetry. They were generally love poems although some were about social satire or the celebration of earth and humanity; they were very passionate and not about God. 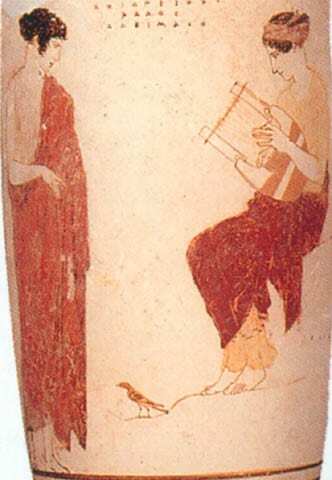 The lyrics do not tell a long story (not an epic, odyssey, ballad) but rather about a single thought or image. They have a very contemporary rhyme scheme and subject matter. Autobiography: Just as autobiographies today tell the story of a person’s life through their point of view, early autobiographies did the same thing. They generally depicted the trials and triumphs of a person’s life and their internal thoughts about the matter. 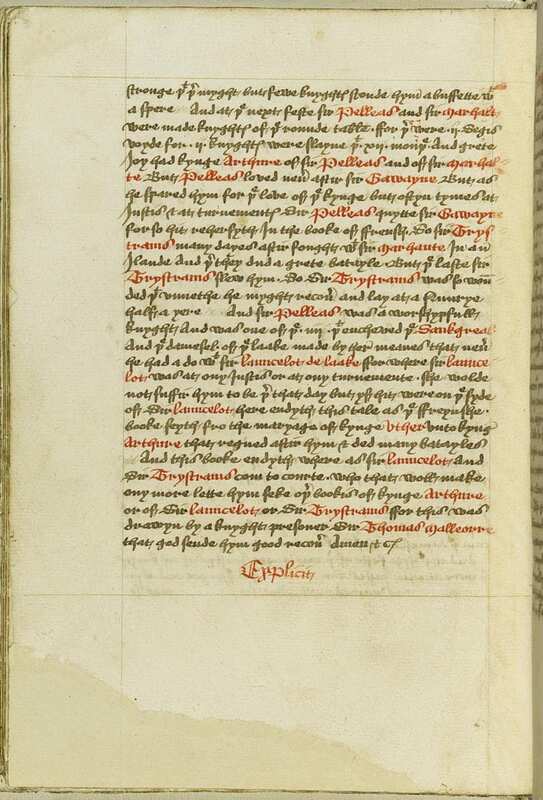 The first autobiography was The Book of Margery Kempe. Morality Play: A type of drama that emerged around 1400 and became increasingly popular through out the century. They taught lessons about morality and human nature and used allegorical characters to portray the struggle that a person goes through to achieve salvation and the forces of good and evil. A morality tale could have had either a serious or a comic plot. Depiction of a mystery play performance. Religious Prose: Sought to explain the great truths of god, humanity, and the universe through an analysis of Christian beliefs, focuses on sin, penance, and love. There are few examples of secular work during the Medieval period as a result of the influence of religion within society. Secular Poetry was one of the main works of literature at this time. It was full of satire and irony concerning everyday life. The incline of popularity of these secular works led into the Renaissance. An important example of this type of poetry is The Canterbury Tales by Geoffrey Chaucer. Secular Medieval literature helped create a pathway for future authors in the Renaissance. 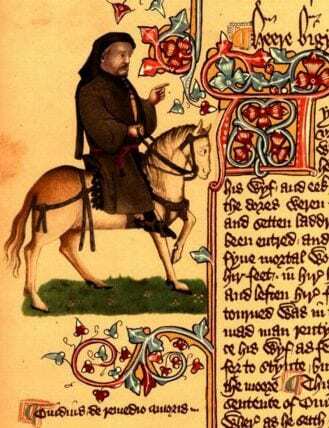 The Canterbury Tales is one of the most well known secular works from the Medieval period. Rather than focus on the Church and religion, The Canterbury Tales looks instead at other common ideas of the time, such as courtliness and company. This courtliness, or courtly love, could be found in many poems and other pieces of literature during this time period. Courtly love is when a woman is treated with utmost respect, care, and love from a knight. He will do anything to make her happy, and her happiness and love in turn makes the knight stronger and more respected. In The Canterbury Tales, courtly love can be found in the Knight’s Tale, a story about two knights who fall in love with the same woman and must choose to honor either the code of courtly love or the code of chivalry. The theme of company is also present throughout the entire poem. It is clear in that the pilgrims are traveling together and sharing each other’s company by learning about one another and sharing stories. Below is a link to an animated version of The Knight’s Tale. Other themes common in Medieval secular poetry are spring, love, and politics. Many other satirized the community. As the Renaissance began to rise throughout Europe, secularism and humanism became increasingly popular. This time brought on “the appreciation of worldly pleasures, and above all the intensified assertion of personal independence and individual expression” (cite). Instead of focusing on the afterlife, people began focus on their current place in life. They looked towards themselves and who they were as individual people instead of solely people of God. This time in history can be seen as the beginning of the turn to reason and the loss of faith. Similar to secular literature of the Medieval period, secular literature of the Renaissance focused on worldly things, such as spring and love. The reason part of this literary period inspired essays on human characteristics and politics, with Francis Bacon being one of the most writers of these types of essays. Throughout the Medieval period, women were viewed as second class citizens, and their needs always were an afterthought. They were either held to be completely deceitful, sexual, innocent or incompetent. Therefore, women were mostly withheld from positions of power or speaking their voice; males made decisions for them and their lives were dictated by the men that ran the society. Despite their lack of validation and suppression, however, women in Medieval literature were certainly present in many works and in various forms. Some tropes feed into the idea that women are subservient and inferior to men such as the Virgin, which portrays females as passive and weak, or the mother whose very life circles around making a better life for her family and especially for her husband, or even the whore who has no power in her sexuality and must give it away for the well being of her family or the men in society. However, there are some archetypes that break this cycle like the Trickster or Witch who break the social norms and stand out, displaying qualities of cunning intelligence, intimidation, and power. The sections below will dive deeper into the disparity between how women were viewed in Medieval society and how they were portrayed in the literature of the time. As a whole, the Renaissance encompasses an incredibly large rebirth of knowledge and learning that began in Italy in the fourteenth century. By the Sixteenth Century, Renaissance thinking spread from Italy, reaching north towards England. The advances in knowledge which identify the shift from Medieval Literature to Renaissance Literature were dependent upon a return to classical thought within the literature and philosophies of antiquity. This return to classical ideas and worldview gave rise to Humanism, which asserted the value of man, his dignity, and his lack of limitations. As a result, there was a shift in emphasis from the contemplative life of the Medieval man to the involved life of the Renaissance man: well-rounded, active, and involved with the world around him. Most notably, Humanists provided society with a pervasive and overarching sense of humanity. Renaissance Literature also mimicked changes in culture; turning away from primarily religious thinking and placing importance on classical thought, Renaissance thinkers conjured new philosophies from the teachings of Plato and Aristotle. Sexual love was seen as the presence of spiritual bonds in literature, arising from new found knowledge of Platonic love. Some Neoplatonists believed there to be a link between attaining knowledge (as knowledge of science was seen as factual representations or understanding of the world) and relationship with God or the Divine.Citation? This shift in governing thought process led to a new world view which negated the cosmic worldview present in Medieval Literature. While Renaissance thinkers would avoid drawing comparisons between themselves and the thinkers of the Middle Ages–”According to them, the Middle Ages were set in the “middle” of two much more valuable historical periods, antiquity and their own.”–similarities between the two are ever-present, specifically in regards to the remnants of Medieval worldview which extend its belief of The Great Chain of Being deep into Renaissance culture and literature. Citation The exaltation of man’s ability propagated by Humanism, created discomfort and confusion in light of The Great Chain of Being. Since man’s agency was believed to be limitless, his place within The Great Chain of Being was complicated. This struggle of human aspiration within a world still governed by The Great Chain of Being is depicted within Christopher Marlowe’s Doctor Faustus. In the Sixteenth Century, as a result of systemic corruption within the Church (e.g., simony and the selling of indulgences), protestants desired reformation of the Church. The Protestant Reformation, which the movement came to be, left Europe no longer united; the religious criticisms of Martin Luther fragmented the Church before long–after gaining him excommunication from the Church–and gave rise to Henry VIII’s political separation of the Church of England from Rome. Through the rejection of the Church, the Reformation placed importance on the role of the individual, in that authority of religious teaching was reliant upon the text rather than the institution. With that being said, the renewed interest in the Bible a piece of literature led to its unforeseeable influence in modern literature, where Biblical allusions and symbols were experimented with; this influence is visible in the works of John Donne (Holy Sonnets), John Milton (Paradise Lost), and Andrew Marvell (“The Garden”). The spread of literacy and knowledge throughout this period was greatly influenced by the invention of Gutenburg’s printing press, which slowly made the majority of literature more widely accessible. The Renaissance saw the end of feudal rule, and made efforts to establish a central government. This new prominence of politics–the rise and fall of kings–framed the narrative for many of Shakespeare’s plays, as well as Machiavelli’s The Prince, a treatise on proper governing practices–all of which tend to hinge upon ruthless rule. For the most part, women remained still remained somewhat suppressed in this time period. The fact that the new ruler was in fact, Queen Elizabeth, was upsetting to many. Women also lacked the ability to attend schools and universities too. Although because of the importance of reading scripture in the Protestant religion, women’s literacy did somewhat improve, yet the ability to write was incredibly rare. Therefore, any works produced by women at this time are very scarce. 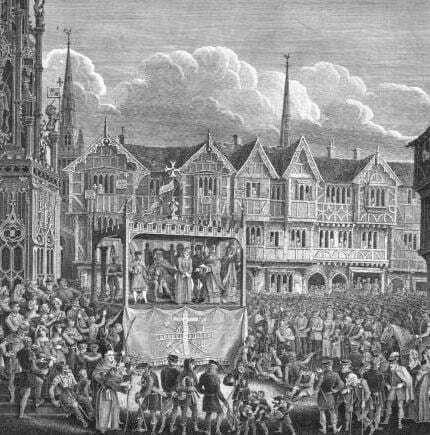 At the beginning of the sixteenth century, Catholicism still reigned as the primary religion in England. It still dictated nearly every important decision in a person’s life, and because most religious literature, most notably the Bible, was printed in Latin, the clergy members held a great deal of power because of their literacy to interpret these works. However, Martin Luther, a key figure in the massive shift in religious culture known as “The Reformation”, began to question the ideas of the Roman Catholic Church. This idea quickly caught on, partly due to the ability to widely distribute material through the printing press, and spread like wildfire throughout Europe. Although the violent shift between Catholicism and Protestantism continued for several years, Queen Elizabeth eventually lead in a new era for England with her acceptance of the Protestant religion. The effect on literature at this time period was profound, because when Catholicism was dominant, Protestant works remained underground, and vice versa for periods of Protestantism as well. Some of the most notable authors and poets of the time include Edmund Spenser, the Earl of Surrey, Sir Philip Sydney, Ben Jonson, Aemilia Lanyer, Robert Greene, and, of course, William Shakespeare. The American Heritage English Dictionary. “Morality Play.” The Free Online Dictionary. Houghtan Mifflin Company, 2009. Web. December 5, 2013. <http://www.thefreedictionary.com/Morality+tale>. The British Library Digitized Manuscripts. Morte Darthur. Baker, Peter. “English Literature.” Encyclopedia Britannica. Encyclopedia Britannica Inc., April 26, 2012. Web. December 5, 2013. <http://www.britannica.com/EBchecked/topic/188217/English-literature/12775/Religious-prose>. “The Canterbury Tales: The Knight’s Tale” Shmoop. Shmoop University, Inc. n.d. Web. 7 Dec 2013 <http://www.shmoop.com/knights-tale/>. 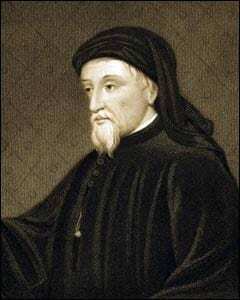 Chaucer’s Pilgrim. From the Ellesmere Manuscript. Wikimedia Commons. “English Literature.” Encyclopedia Britannica’s Guide to Shakespeare. Encyclopedia Britannica Inc., 2013. Web. December 5, 2013. <https://www.britannica.com/shakespeare/article-12775>. Fletcher, Humphrey. “Medieval Literature.” Essential Humanities. 2008. Web. December 5, 2013. <http://www.essential-humanities.net/western-art/literature/medieval/>. “Introduction to the Renaissance.” Introduction to the Renaissance. N.p., n.d. Web. 06 Dec. 2012. Kreis, Steven. “Renaissance Humanism.” The History Guide: Lectures on Modern European Intellectual History. The History Guide, 13 Apr 2012. Web. 7 Dec 2013. <http://www.historyguide.org/intellect/humanism.html>. 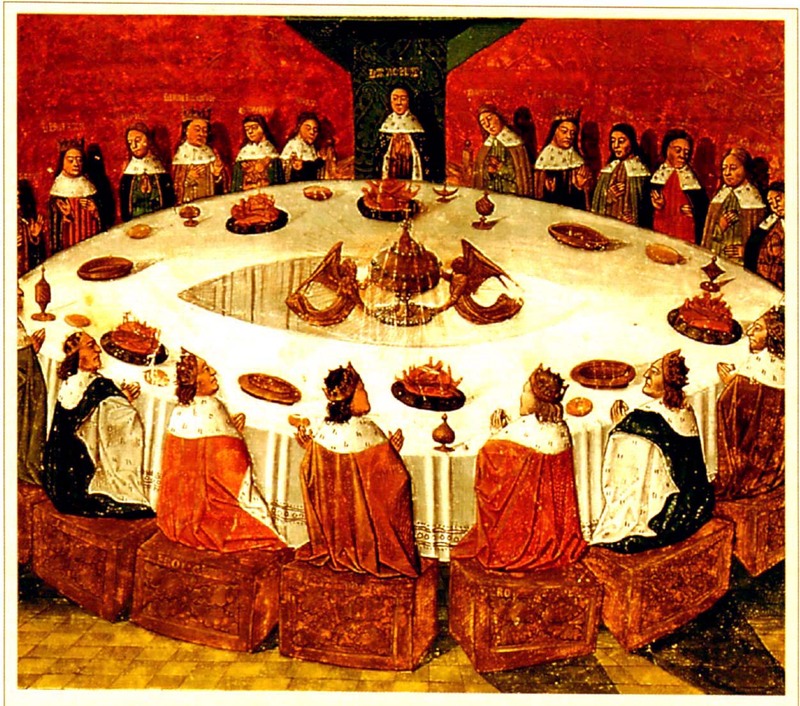 “Medieval Society and Culture.” Medieval Life & The Hundred Years War. N.p., 1994. Web. 1 Dec. 2012. St. Thomas University. “Medieval Literary Genres.” Medieval Literary Genres. 2003. Web. December 5, 2013. <http://courseweb.stthomas.edu/medieval/chaucer/literarygenres.htm>. Smith, Nicole. “Representations of Women in Medieval Literature.” Article Myriad. N.p., 6 Dec. 2011. Web. 01 Dec. 2012. “The End of Europe’s Middle Ages.” The End of Europe’s Middle Ages – Language & Literature. The University of Calgary, 1998. Web. 01 Dec. 2012. “The Flow of History.” The Italian Renaissance. N.p., n.d. Web. 06 Dec. 2012. “The Medieval Church.” The Medieval Church. N.p., n.d. Web. 30 Nov. 2013. “History Alive! The Medieval World.” The Role of the Church in Medieval Europe. N.p., n.d. Web. 25 Nov. 2013. “History Through and through.” History Through and through. N.p., n.d. Web. 23 Nov. 2013. “Medieval Literature” UMASS. http://people.umass.edu/eng2/per/medieval.html. Web. 25 Nov. 2013. “THE MIDDLE AGES: THE FEUDAL SYSTEM.” ThinkQuest. Oracle Foundation, n.d. Web. 06 Dec. 2012. “The Middle Ages” The Norton Anthology of English Literature. 8th Ed. Greenblatt, Stephen. New York, NY: W.W. Norton & Company. 2006. 1-23. Print. 25 Nov. 2013. “Middle Ages” http://www.lordsandladies.org/index.htm. Web. 25 Nov. 2013. “The Norton Anthology of English Literature: The 16th Century: Introduction.” The Norton Anthology of English Literature: The 16th Century: Introduction. N.p., n.d. Web. 06 Dec. 2012. Wilde, Robert. “Renaissance Timeline.” European History. N.p., n.d. Web. 01 Dec. 2012.